Jürgen Schlichting has extensive experience in the design and implementation of international projects, in management and corporate governance, and in cross-border business development for products and services. Clients have been international institutions (World Bank, EU, various ministries in Germany and abroad) as well as private companies of many different sectors. After many years of rendering services in countries abroad (Latin America, Asia, and Europe), today he is active with international market development and the formation of branch offices and subsidiaries in Switzerland and abroad, as well as with selected mandates as board member (executive and non-executive) of medium-sized companies. 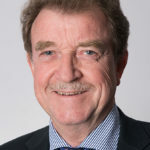 Jürgen Schlichting is Managing Director and owner of SBC International GmbH, a small Swiss-based consulting firm with focus on (a) cross-border business development, (b) strategic planning + coordination of complex international projects, and (c) corporate supervisory and control. Some important mandates were: Market positioning, establishment of companies + JV, market screening +selection of partners in many countries: Belgium, Czech Republic, Germany, Bulgaria, Brazil, India, Middle East. Support of corporate units in 20 countries in the context of a long term globalisation strategy; Elaboration of corporate strategy focusing on core competences and market positioning; Acquisition of companies: analysis of competition and selection of targets; Preparation of initial public offering: management, organisation and market positioning; Market analysis for investment goods (worldwide); Marketing strategy for Brazilian companies in Germany + Europe; Setting up of Swiss subsidiaries. Clients: ABB, Deutsche Telekom, Equinix, Linedata Services, Postbank, TÜV Rheinland, World Bank, Interamerican Development Bank (IDB), Commission of the European Community, KfW, GTZ, Asian Development Bank (ADB), amongst others. He studied economics at the Universities of Freiburg (Germany) and Basel (Switzerland), with a final examination: lic.rer.pol. from the University of Basel/Switzerland. Jürgen Schlichting joined CBA in November 2015 as Consulting Professional and M&A Adviser.